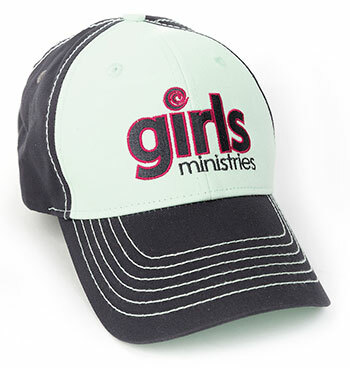 No one will question your love and commitment to your Girls Ministries group when you sport this cap. 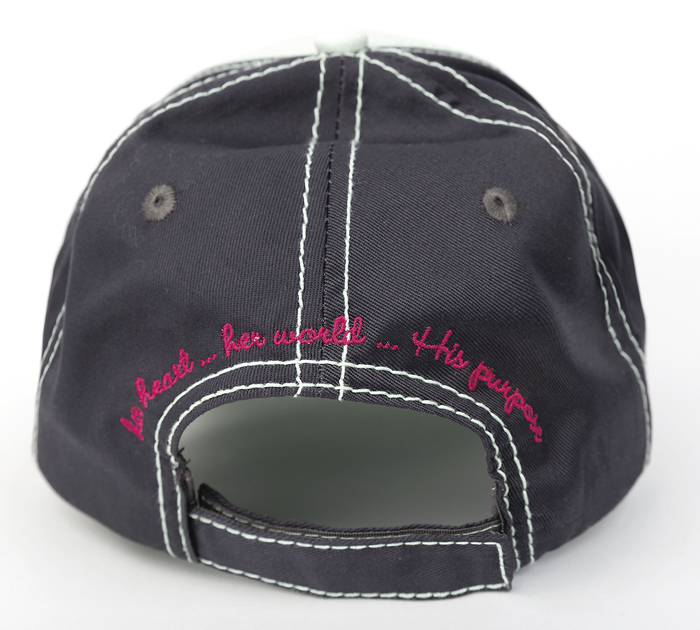 Charcoal and light green twill with dark pink accents. Velcro back closure.